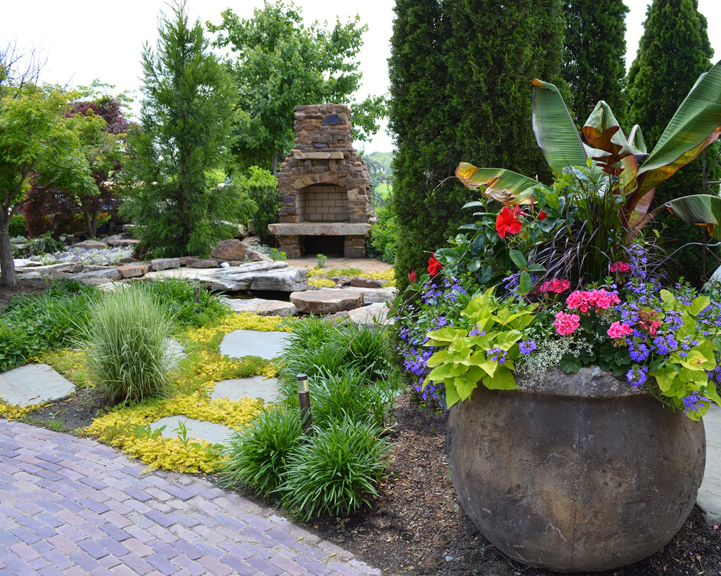 Local landscapers share their favorite container combos. 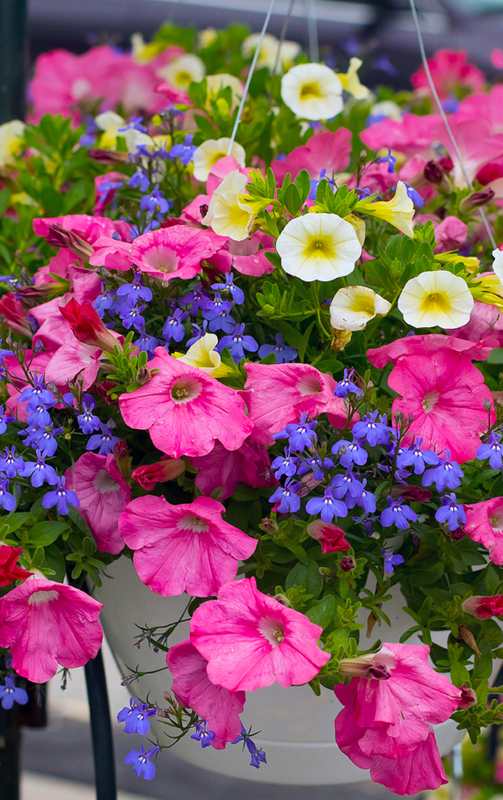 Dress up your deck or patio with colorful container plantings. Containers allow you to mix and match varietals while also being able to move the container to any desired location. 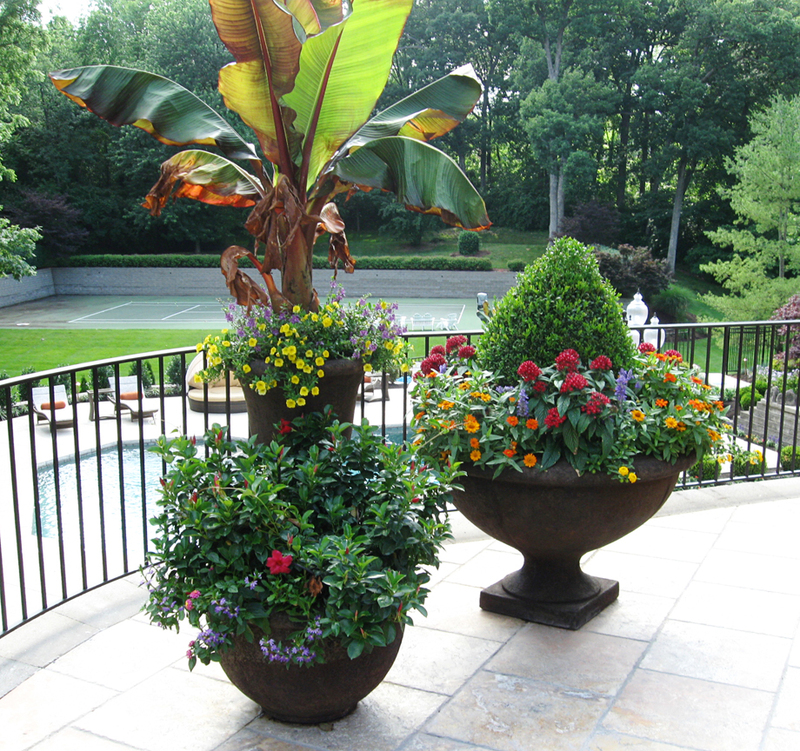 Local landscapers share their favorite container combos. “For an easy combination that creates a delightful cottage-garden look, we mix pink Petunias, yellow Millionbells and blue Lobelia. Having been bred to take the heat and humidity and to be self cleaning, these beauties always look fresh.” Ann Lapides, Sugar Creek Gardens. “One of my favorite combinations that does well through the summer months is Mandevilla with strawberry sizzle geranium and euphorbia, plus a splash of scaevola, a grass for texture and potato vine spilling over the edge. I like to top it off with the backdrop of the banana tree with its large foliage.” Jim Graeler, Chesterfield Valley Nursery. “In this raised planting bed, we incorporated some of my favorite annuals/tropicals for a great pop of color and numerous contrasting textures. Included from rear to front are pink Mandevilla, pink Hibiscus, purple Fountain Grasses, Dragon Wing Begonia, Evita Rose Lantana, purple Scaevola and Silver Falls Dichondra (trailing). Any combination of these will make for a great container planting. 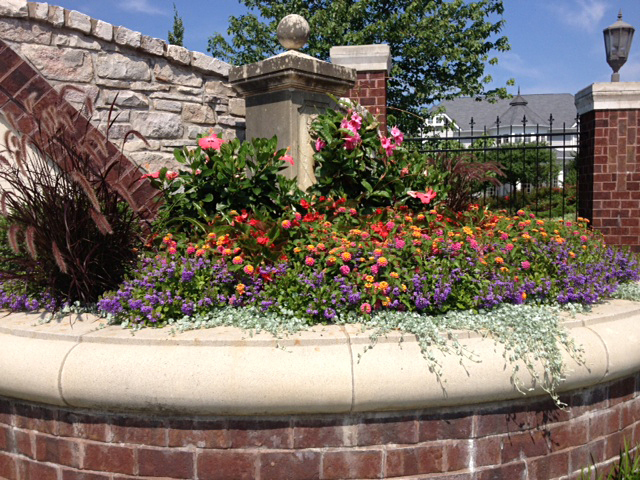 As with all annuals/tropicals, daily watering is a must.” Brian Haley, Green Guys. “For spectacular summer color, my favorite planter combination is Diplidenia, Lantana and Scaevola with a fun, tall-foliage plant for center height. Dead-heading is unnecessary with this trio making it an easy choice for long-lasting blooming color. Lantana and Diplidenia come in various colors to suit your theme of either hot summer colors or soft and pretty pastels. Diplidenia and Lantana are also great deer-resistant selections. Plant this trio in full sun.” Christine Knoernschild, Passiglia’s Nursery & Garden Center. 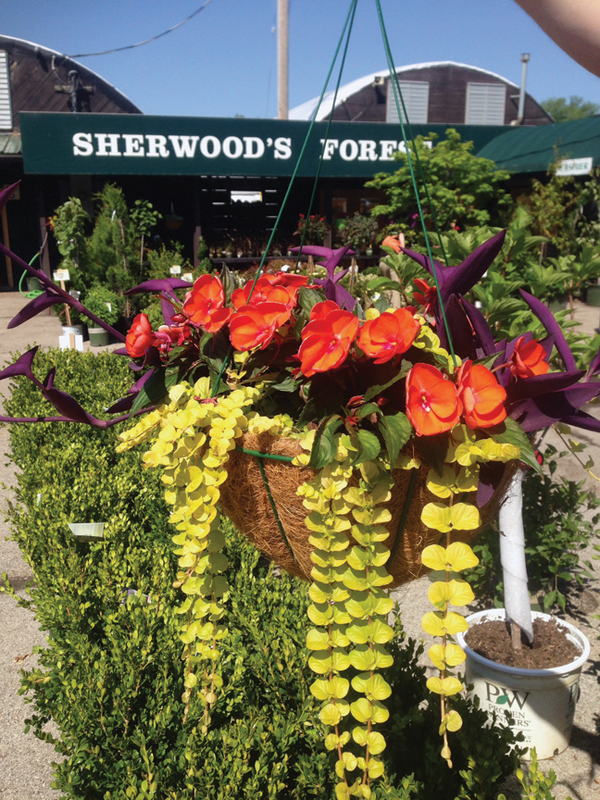 "A moss hanging basket container filled with trailing golden Lysimachia Aurea, New Guinea Sun Impatiens and purple Moses in a Boat are easy to care for and provide great color all summer long.” David Sherwood, Sherwood’s Forest.